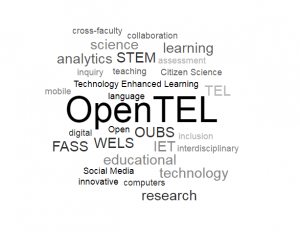 OpenTEL congratulates Rob Farrow and the OER World Map team for receiving the Open Education Award for Excellence at the OE Global Conference awards in April. Rob co-presented a World Map Action Lab with Jan Neumann of hbz at OER Global. For further information see Catalysing Open Innovation: OER World Map. 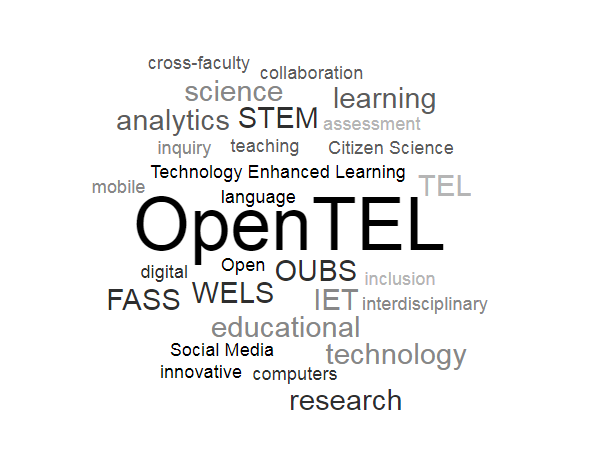 openTEL is pleased to announce the introduction of the Completed Projects Short Seminar Series. The Short Seminar Series gives IET Academics the opportunity to present their research projects to the openTEL community from across the university. The short seminar series will be running periodically throughout the year. Our first Short Seminar Series kicks off on the 9th May 2018 from 10am till 12.30 in the Ambient Lab, Ground Floor, Jennie Lee Building. OER Hub Team receives Open Education Consortium 2018 Awards! IET based world leaders in open education research, the OER Hub [http://oerhub.net], are proud recipients of two of this year’s Open Education Consortium 2018 Open Education Awards for Excellence (see: http://www.oeconsortium.org/2018/03/oec-announces-the-2018-oe-award-winners-of-open-resources-tools-practices/). 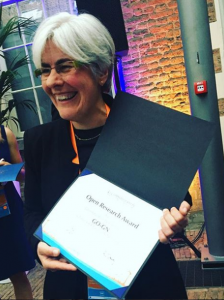 The Global OER Graduate Network (GO-GN) which is managed by the OER Hub team and led by Bea de los Arcos, builds capacity in open research and supports and connects over 70 PhD students around the world researching open education. GO-GN is this year’s winner of the Open Research category. The OER World Map, which receives the Open Innovation award for “outstanding innovation,” has developed and maintains an interactive tool to enable anyone interested in open education to contribute to, and find, projects, policies, stories, OER, and initiatives. Led by HBZ in Germany, the OER Hub’s contribution is led by Rob Farrow. The awards will be presented at this year’s Open Education Global conference in Delft, The Netherlands during April 2018. Congratulations to Anne Adams, WISE Award winner!